W e offers Balston Membrane Nitrogen Generators which eliminate the inconvenience and the high costs of nitrogen cylinders and Dewars. Membrane Nitrogen Generators produce up to 99.5% pure commercially sterile nitrogen at dew points to -58°F (-50°C) from a compressed air supply. They are ideal to work with Cleatech’s Automatic purge control units, Nitrogen desiccator cabinets, N2 dry boxes, Nitrogen purge glove boxes to decrease the related humidity and oxygen level in the chambers. The Balston Nitrogen Generators are complete systems ready to operate. 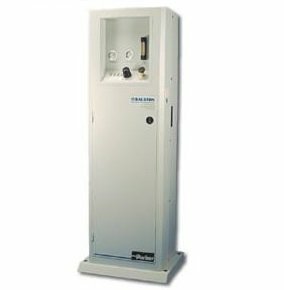 The generators are freestanding and housed in an attractive cabinet. No electrical power required, just need a compressed air line.